LAHORE: A court in Lahore is expected to complete trial of Czech Republic model Tereza Hluskova in heroin smuggling case within a month. She was arrested earlier this year at the Lahore airport for allegedly smuggling over eight kilogram heroin at the Lahore airport. According to a local TV channel on Saturday, the trial was nearing its end after all the witnesses had recorded their statements when the public prosecutor filed an application for amendment in challan (charge-sheet). The judge has accepted the plea and now trial may take one more month to complete. Despite being in custody for months, the foreigner showed no signs of fatigue as she was presented before the court. She wore a pair of dark blue trousers with matching dopatta draped around her neck . Tereza Hluskova wore a white printed shirt and a red jacket and donned a pair of glasses as police escorted her to the courtroom. 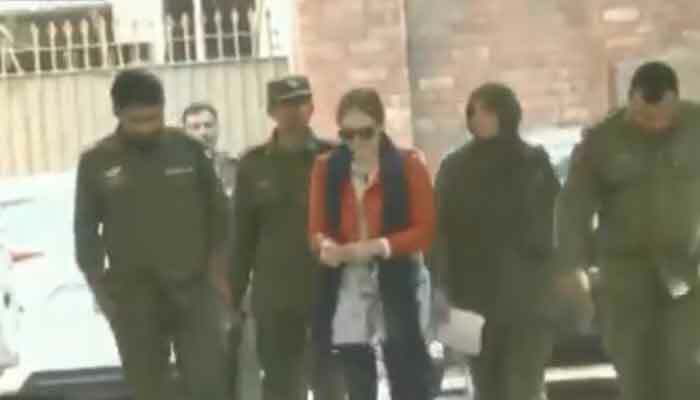 A local TV channel likened the fuss around her court appearance with that of Ayan Ali , a Pakistani supermodel who made headlines in 2015 after being arrested on the charges of currency smuggling.